Enjoy the American history that lies in this rare 1800's coin set. The US genuine two coin set includes an Indian Head penny and a Liberty Head nickel. 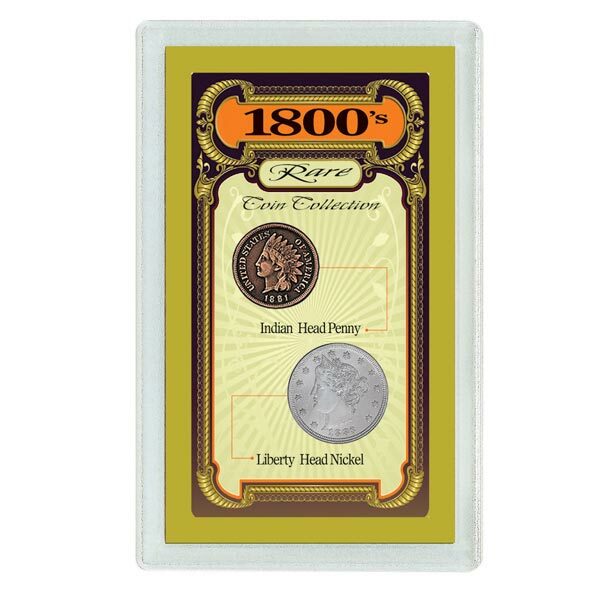 It begins with an Indian Head penny, depicting Liberty in a war bonnet and minted between 1859 and 1909... and includes a Liberty Head nickel, with 13 stars honoring our original colonies, struck between 1883 and 1912. A Certificate of Authenticity is included. Allow 2-3 weeks, no rush delivery or gift box. Item can only be shipped within the Continental US.